Although every driver knows how dangerous drowsy driving can be, many throughout the U.S. continue to do so on a daily basis. If you or someone you love has been injured in a drowsy driving car accident, it is important to seek legal counsel from an experienced Georgia car accident injury attorney as soon as possible to learn more about your legal rights. The Archives of Internal Medicine published a French study in May 2012 stating that drowsy driving is as perilous as drunk driving. According to researchers, both drowsy and drunk drivers increased the risk of a car crash two-fold when compared to a driver who was not fatigued or operating a vehicle under the influence of alcohol. Additionally, the study concluded that losing four hours of sleep was the equivalent of consuming a six-pack of beer. Driving all night without rest or sleep impaired a person to the same extent as an individual with a blood alcohol content of 0.19 percent – an amount well over the legal limit. Drowsy driving can be mild or severe, depending on the condition of the driver. For instance, a driver may have simply stayed awake too long and is experiencing fatigue whereas another driver is tired enough to doze off behind the wheel. Although it may seem hard to believe that a driver could physically fall asleep while driving, it is far more common than most would think. 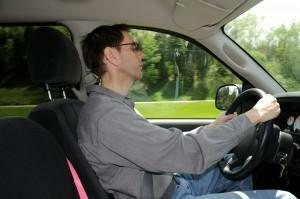 The Centers for Disease Control conducted a study of drowsy drivers to assess fatigue behind the wheel. Researchers conducted a telephone survey of more than 147,000 Americans in 19 states and Washington, D.C. In Georgia, 188 of the 5,466 drivers or 4.1 percent admitted that at least once in the past 30 days they had fallen asleep while driving, slightly below the national average of 4.2 percent. Additionally, the study found that male drivers and younger drivers were more likely than females or the elderly to doze off while behind the wheel. Drowsy driving accidents are more likely to result from high-speed or head-on collisions, and everyone is at risk of injury or death because the individual who has fallen asleep will not be able to react to avoid a collision. In the event of a serious accident, the victims could be permanently disabled and limited in their ability to work. Those injured may suffer from severe pain and a decrease in the quality of their lives. As a result, the drowsy driver who engaged in dangerous or negligent driving behavior may be held accountable for the crash and be required to compensate victims for their losses. Similarly, if a drowsy driving wreck results in a fatality, the responsible party may be required to compensate the surviving family members should they decide to pursue a wrongful death claim. Potential damages that family members may receive include loss of companionship, loss of consortium, loss of income, burial and funeral expenses, and remaining debts, among others. If you or someone you love has been injured, consider seeking legal counsel as soon as possible to determine if you have a valid claim and to hold the appropriate parties responsible for your condition. Distracted driving accidents can be very serious and at Van Sant Law, we want to help. If you or a loved one is the victim of a car accident in Georgia caused by distracted driving, we ask that you contact us immediately. We have the experience and knowledge to help you build a case and receive compensation for your injuries.